It’s fun to go to adult costume parties especially when it’s Halloween. These Sesame Street Costumes For Adults take you on a trip down memory lane. It’s a fun and welcome respite from the usual monsters, demons, ghouls and superheroes or supervillains. Sesame Street Costumes For Adults – Which Character Should You Dress As? Yip Yip. You’re an alien from Mars, and so everything mundane seems new to you. Here you can make the rounds at parties and make comments that seem fairly obvious. You can have fun early on at the party while the novelty is fresh of behaving like a Sesame Street character, and asking people to explain to you what many common items are actually used for. Try asking what a coffee maker is, for example! 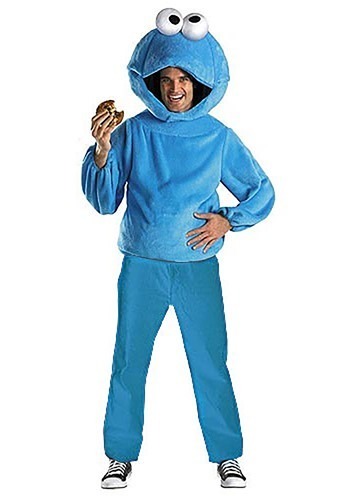 Cookie Monster costume. This is always a great costume if you’re a foodie—now you have a good excuse to sample every dish at the party! After all, Cookie Monster was the ultimate food consumer. Me want cookies! Nom Nom Nom! If you prefer quantity over quality, then this is an ideal costume for you. 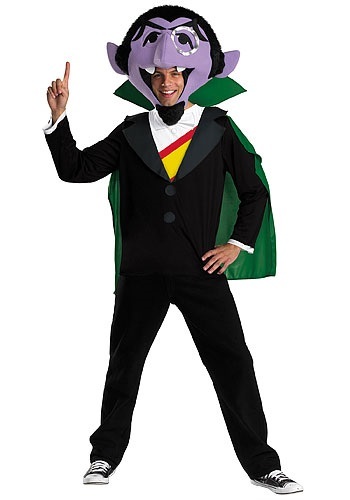 The count is a very dapper vampire, and at the very least you’ll look good wearing this attire. His shtick is to count everything, and you can always count the drinks and the bites you’ve had. 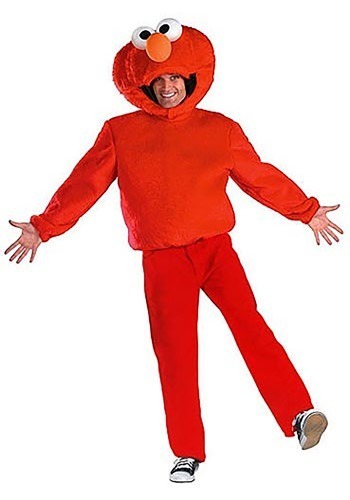 Elmo costume. This guy is one of the most popular characters on the Street, so be prepared to be noticed. And it helps if you’re also cheerful and childlike too. Elmo loves to be tickled, and he prefers wasabi over Brussels sprouts. It’s a party, so why eat veggies, right? 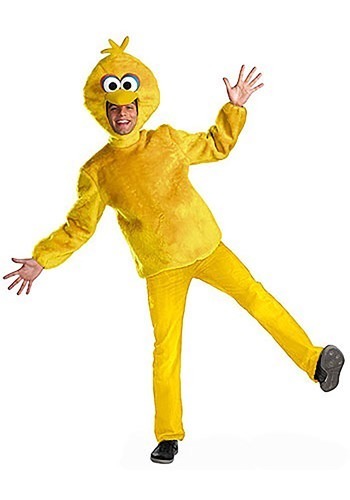 Big Bird costume. This character is perhaps the most recognizable of them all, and you won’t fail to catch people’s attention with your bright yellow feathers. What’s great about Big Bird is that he’s kind-hearted and friendly, so no snide remarks and insults from you at any time please. And if you find someone you like, you can always mention that the color they’re wearing is actually the color of the day. If you are going to a Halloween party as a double act, Bert and Ernie costumes are a fantastic choice. Let’s now take a look at the Bert Costume and Ernie Costume. Bert costume. This guy is Ernie’s best friend, but he’s kinda a fuddy-duddy, right? But as Bert, you can always be the voice of reason when things get too crazy at the party. The unibrow is optional, though, ok? There’s such a thing as carrying things too far. 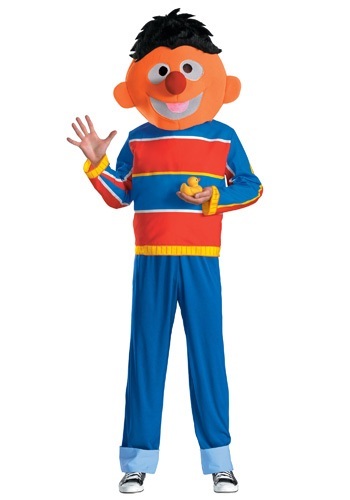 Ernie costume. As Ernie, it’s your responsibility to shake things up at your party. Ernie always gets into lots of shenanigans, but his buddy Bert is always there to calm him down. Of course, you can always tease Bert throughout the night! Whichever character you play, remember that they’re all Muppets on a show for kids. And that means be light-hearted, be nice, and be friendly. Those are great attributes to display when you’re in a party, regardless of what costume you decide to wear! 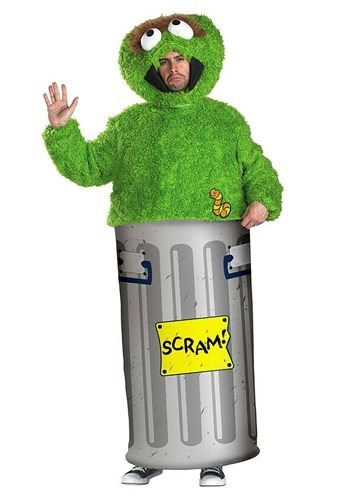 One advantage of Sesame Street costumes for adults is that no one’s going to come up to you to ask who your character is. Everyone knows who the characters are unless they had no access to a TV while growing up. Sesame Street is one of the most popular programs in the history of television and it’s been running for more than 45 years. In other words, parents and grandparents have seen the same program that the younger generation is watching today. The show premiered in 1969, and that means many of the people who are nostalgic about Sesame Street weren’t even born yet when it was first shown. By the mid-1970s it was already considered an institution. It has won 159 Emmy awards so far. In the US, it was recently estimated that as many as 77 million people watched it when they were kids. And by 2009, it was broadcast in more than 140 countries. And that means wherever you are, when you go to a costume party wearing a Sesame Street getup, everyone recognizes your character. That’s because everyone watched it as kids. 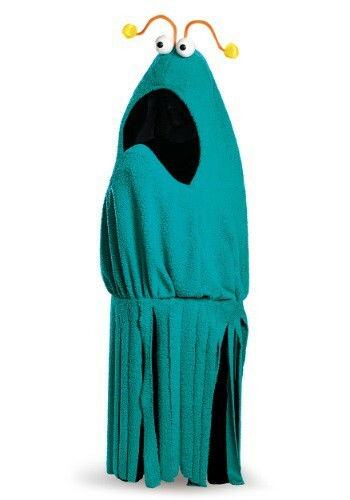 So it is no surprise that one day someone would create Sesame Street Costumes for adults to wear to a Halloween party. So be ready for the reminiscing! Pretty soon, you’re going to get into a discussion about people’s favorite characters on the program. The great thing about Sesame Street wasn’t just about the educational stuff they taught kids, such as counting numbers, learning the alphabet and using letters, and learning colors. It’s that they showed an idealized world full of innocence. On Sesame Street, there is no crime or violence, and even the grouchy muppets are actually nice. Nobody swears, and many of the other unsavory traits of people, do not exist in the world of Sesame Street either. Now choose from the choices of Sesame Street Costumes For Halloween and go party.